Our clients can also avail Ingot Casting Machine which is known to provide optimum performance even under harsh working conditions. Manufactured under the guidance of experts, these machines are easy to operate and used in aluminum industries. We offer these machines in various specifications to cater to the diverse requirements of our clients. Arihant Engineers is one of the leading manufacturer in India for the manufacturing of Non ferrous metal processing plant since 2001. We are in the sphere of manufacturing and supplying equipment for non ferrous metal processing plants. Our range includes modern and high efficiency melting furnaces, Metal treatment plants and machineries for the efficient recovery of metals from scrap, other finishing equipments like Rolling mill, caster unit, Ingot casting machine flipping Coiler Unit, Pay Off Unit, Straightener Unit and URTF- Universal Rotary Tilting Furnaces. Apart from these, we also provide Net Shape Narrow Strip Caster for the casting of aluminum and zinc strip, Ingot Casting Machine, Aluminum Casting Furnace, Shredder, De-Coater, and Vibratory Screen. Proper use of raw material in the manufacturing process has made our equipment durable and wears & tears resistant. We have supplied these equipment’s to various aluminum and non-ferrous industry and have gained acclamation not only for trouble free performance but also for robust construction & precise engineering. 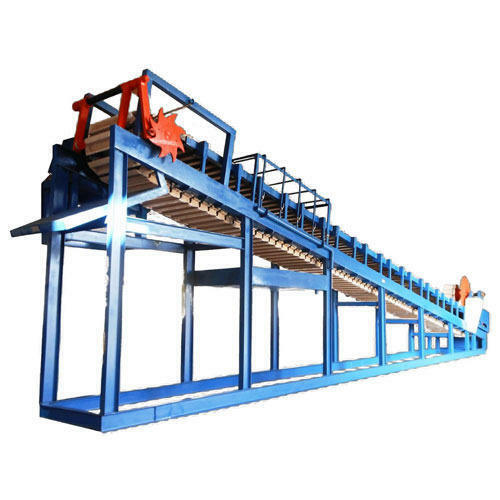 The day to day activities are managed by highly qualified professionals who are in the field of non ferrous metal processing plant for the last three decade. Proven expertise, hi-tech machines and industrious professionals have enabled us to undertake turnkey projects for master alloy manufacturing plant, scrap processing unit, rolling mill for sheet and rod manufacturing unit. Further, our professionals stringently test our equipment on well-defined parameters such as performance, energy efficiency, and design. This helps us in delivering defect free equipment and maintaining our market credibility. The company has successfully executed several prestigious orders in India and Abroad for Aluminum ,Zinc ,Lead and copper scrap processing plants. The Company is well equipped with highly qualified technical team to support our esteem customers.